I have always been a wildly enthusiastic fan of the East Coast — so many large cities within driving distance of one another, the world best bagels (AKA my favorite food, if we’re being honest here) my hometown and 90% of my friends and family — well, you can see how much this side of the country has to offer. And yet, as another part of my life has begun to draw me westward this year, I’ve discovered how much the west coast truly has to offer. I’ll admit, my travels have been limited largely to Los Angeles, but this sprawling, truly unique city has definitely shifted my perspective on the “Which coast is superior?” debate (though bagels, Lancaster, and loved ones are some pretty solid points in the pro-East Coast category). In case you’re planning your own trip out there, here are some of my favorite spots to visit in La La Land (though, of course, please take in mind that I’m still a LA newbie, too!). Much like Lancaster, LA is in no shortage of interesting local coffee roasters and shops. One of my favorites includes the very famous Intelligentsia Coffeebar, with locations on both the west and east sides of LA, though I prefer the Insta-worthy blue tile floors of the Silver Lake (east side) location. One thing you’ll quickly realize when visiting the second largest city in the United States: it’s BIG. It takes a very long time to drive from, say, coastal Santa Monica to eastern Silver Lake. Budget time accordingly, and definitely plan your trip to visit all the haunts of a specific neighborhood at once. Otherwise, you might leave feeling as if you spent your entire vacation in a car. ALSO: consider renting a car, for sure. If you do head over to Silver Lake to get your caffeine fix, be sure to check out The Social Type, the stationary and gift shop of my (admittedly paper-loving) dreams. My current obsession? Their holographic notecards in silver and gold. With just a short drive, you can visit an awesome brunch spot with a gorgeous tree-covered patio and simple, delicious culinary offerings. Home Restaurant serves some of the tastiest sandwiches, as well as a yogurt parfait the size of your face. Honestly, I thought I was ordering an appetizer and I got a healthy, filling meal before my other meal instead. If you ask my boyfriend, he’ll might tell you that I have a penchant for dragging him on long trips just to try or see something I saw on Instagram or a blog once. The best of these online discoveries? Magpies Soft Serve. Also located near Silver Lake, this ice cream shop is the perfect sweet stop during a day on the east side. I’ve never tasted such unique flavors, including things like malted milk chocolate and brown bread. The shop is very cute, everyone who works there is super friendly, and this is honestly some of the best ice cream — especially of the soft serve variety — that I’ve ever tasted. (Also an honorable mention in the ice cream category: The Coolhaus Shop in Culver City). Another photogenic spot that’ll get your heart racing in more ways than one? The Griffith Observatory, an amazing planetarium with stunning views of Los Angeles and the iconic Hollywood sign. Work up a sweat and work off that Magpies Soft Serve (conveniently located a short drive from the Griffith) by hiking up to the planetarium and overlook spot. You’ll only pay for parking — admission to the building and grounds are free. While I’ve only been during the day, I can imagine that the overlook is also stunning at night, and can’t wait to go back and see the famous City of Lights all lit up. If you’d rather spend the day on the west side and are looking to pamper yourself, head to Olive & June, a heavily Millennial Pink, super chill nail salon with three location in the LA-area. Definitely try out some nail art while you’re there; my fingers are currently sporting the coolest rainbow paint job basically, well, ever. Their Beverly Hills location is right in the middle of everything, so you can easily take a quick walk to explore famous spots like Rodeo Drive. 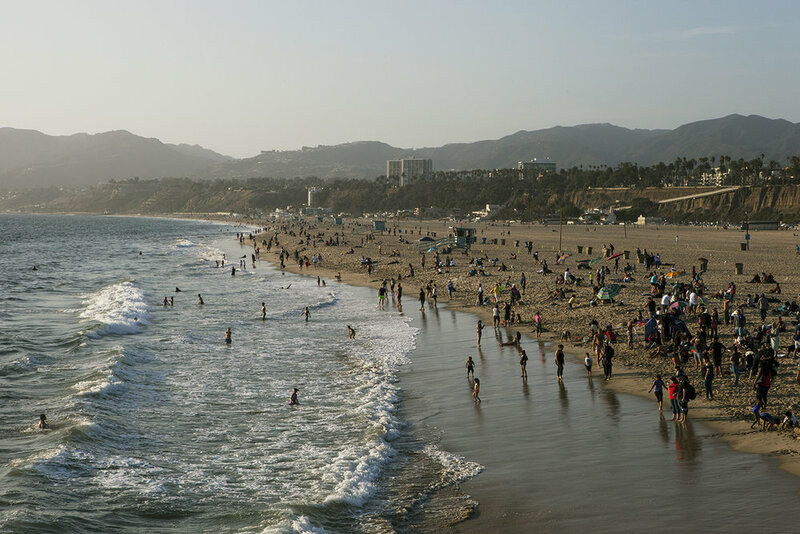 If you’d rather spend the day at the beach, head to their Santa Monica location instead, followed by a nice walk down to the beach or the famous Santa Monica Pier. If you find yourself homesick for Lancaster while in the City of Angels, head to The Doughroom near Culver City. Why? It’ll remind you of The Fridge! Serving craft beer and pizza, this place is a great for a casual night of carbs. (Not necessarily as into a carb-based diet as I am? Also cool — they have great salads and vegetable appetizers, as well. Not a beer lover? They pour plenty of great wines, too.) This is also a great option for a weekend brunch; check out their breakfast pizza, of course, topped with a beautiful sunny-side up egg. After dinner, head over to the close by Culver Hotel to enjoy a vintage-inspired cocktail in their dazzling indoor and outdoor bar. The hotel is ripe with Old Hollywood history and charm. Back in the day, the Culver Hotel hosted cast members from iconic films like The Wizard of Oz and Gone With The Wind. It truly feels as if you have travelled back in time you imbibe. I recommend the Classic Eastside cocktail, made with gin, cucumber, fresh mint, lime juice, and simple syrup, though their movie-inspired drinks (like The Tin Man or a Yellow Brick Lemonade) are always sure to delight, as well. And, if it’s in your price range, the Culver Hotel is a beautiful place to stay during your visit, just up the street from the ever-enchanting Sony Pictures lot. Be sure to take a studio lot tour while you’re there, or one at Paramount Pictures, located a bit further north in Hollywood. 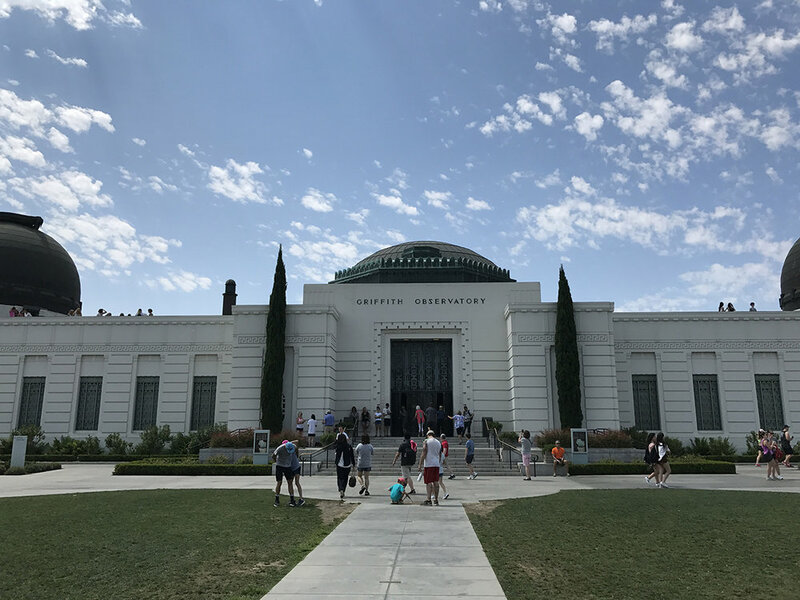 Does your visit to Los Angeles even count if you haven’t taken some time to learn about the history of Old Hollywood and some fun facts about modern day film production? The perfect last stop before heading to back to LAX for your flight home? The famous In-N-Out Burger; there are multiple locations close to the airport. Their not-so-secret ‘secret menu’ is definitely worth sampling, but their classic burger and fries combo is also really delicious. Go ahead, treat yourself — you’ll be back in Lancaster tomorrow, anyway.